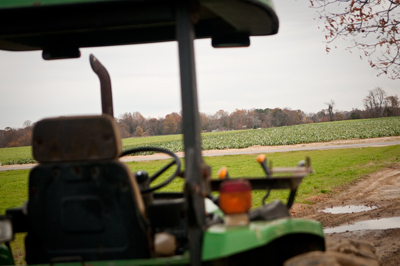 Less than 85 miles from Foggy Bottom, Robert Arnold’s farm grows crops like sweet corn, cauliflower and squash for supermarket shelves and local food establishments – including J Street. About 20 percent of produce in GW’s dining halls comes from farms within a seven-hour drive of D.C., like Arnold Farms, where workers chop down corn stalks and pick vegetables by hand for three-quarters of the year. 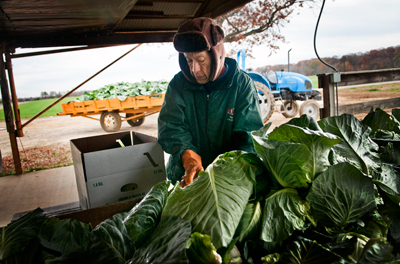 A worker sorts cabbage at Arnold Farms, a Sodexo supplier. As few as two hours after harvest, pallets of produce from Arnold’s 360-acre farm reach the Landover, Md. warehouse of GW’s supplier, Keany Produce Company, where crates of collard greens from Virginia sit feet away from Florida grapefruit and ripening Mexican avocados. It is one of the largest produce, milk and cheese packagers along the East Coast. Facing increased competition from campus businesses that emphasize local ingredients as part of their brand, the University has tasked this year’s new marketing team to also push that angle by highlighting decades-long ties with nearby farmers. Nancy Haaga, head of GW dining, said she wants students to know they can find fresh and sustainable food at J Street, in hopes of pulling in customers who might otherwise go to Whole Foods or Sweetgreen, which also get some of their produce from Keany. GW picks its items from Keany’s online inventory, which lists prices and the farm where it was grown. The warehouse’s inventory, which is about 25 percent locally grown, turns over every three days. 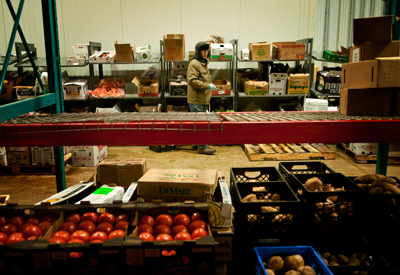 About 5 percent of the produce is organic, about double its offerings two years ago. The wholesaler, Keany Produce Company, restocks its inventory with fresh produce every three days. More and more buyers are looking to expand their local food options, the Keany sales manager said, prompting the distributor to connect with more farmers. But he said although colleges are increasingly looking to use locally grown food, but many dining officials don’t realize they have fewer options year-round. Because the Northeast growing season peaks in the summer, when students are not at school, GW will have to make adjustments to sell local produce. J Street’s head chef Michael Lowe is creating a special menu to incorporate off-season produce like kale, swiss chard, cauliflower, cabbage and squash. But the local farming trend, which Arnold said began about five years ago, is already fading as businesses realize the process is more complicated than they planned, he said. At Harvard University, which pledged to go local in 2008, dining halls sell between 35 and 70 percent local foods, depending on the season. 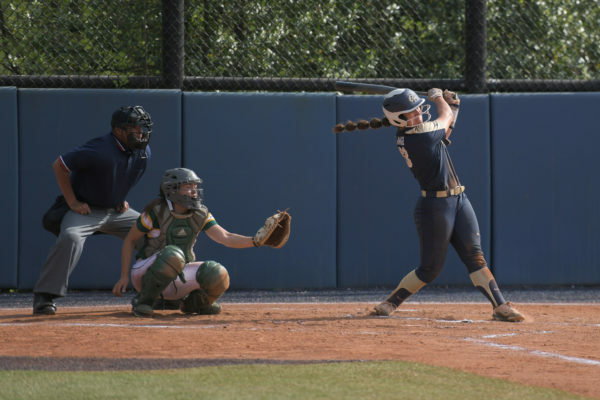 But Cargiulo said Harvard has had a hard time sustaining its commitment and has had to rely on canned vegetables like tomatoes, which were still in high demand during the winter months. Farmers in the region also face a volatile growing season. A few days of heavy rain or high himidity could ripe out Arnold’s crop, on a mid-sized Maryland farm, in just a few days. Those conditions make it easier to buy from industrial farms in areas where weather patterns are regular, like in California, Arnold Farms office manager Margaret Frothingham said. “You have to be dedicated to local. It’s not as easy to buy,” Frothingham said. She added that many local farms hope big businesses like GW do sign onto the local farming idea. Competition becomes tough when farms sell similar products. University President Steven Knapp, who lived on a sustainable farm in Sparks, Md., has pushed GW to become a more green institution since he came to Foggy Bottom in 2007. The focus on local food stems from GW’s ongoing sustability efforts and the large-scale Ecosystems Enhancement Strategy launched this month. The green plan outlines goals to purchase more food from local sources and add farms and gardens on rooftops or the Mount Vernon and Virginia Science and Technology campuses over the next decade. GW will also release a green catering guide for departments and groups Nov. 20 to advertise compostable plates and utensils and locally grown food. 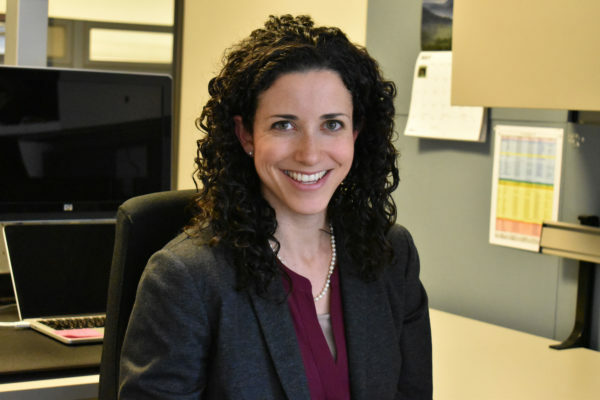 “It would help us understand where the food is coming from and the resources that go into the food that we get,” Director of the Office of Sustainability Meghan Chapple-Brown said.